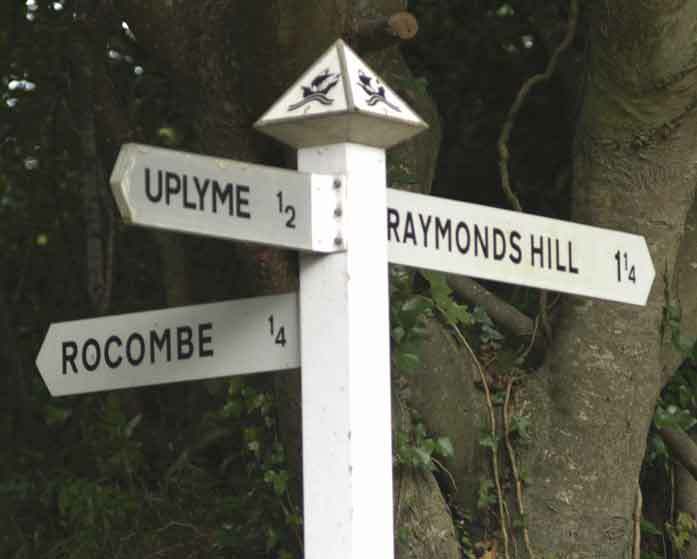 The links above will take you to pages providing vital information on Uplyme. Look in Yellow Pages for phone numbers, websites and e-mail addresses of local services and organisations in and around Uplyme. The Transport page provides information on includes links to train and bus timetables. For Lyme Regis - based information please go to What's on in Lyme. "A millionth milestone is marked by website"
Click here to read the article by Chris Carson. "New webcam link shows village off"
Click here to read the original piece by Chris Carson. 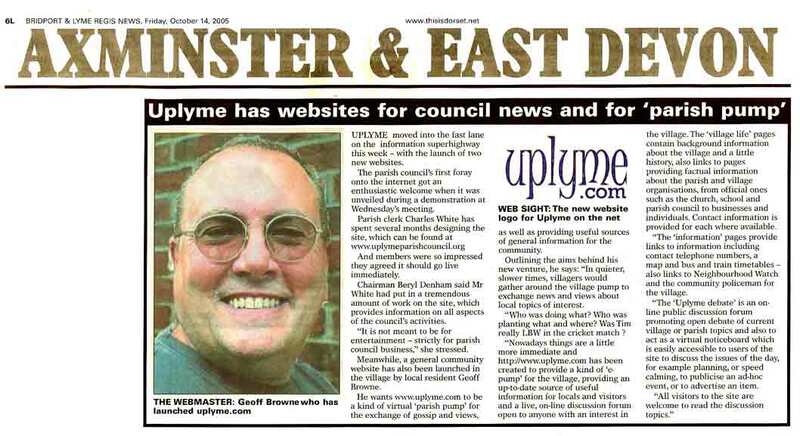 "Uplyme has websites for council news and 'parish pump"
Click here to read the original piece (complete with exquisitely bad photo of the webmaster).